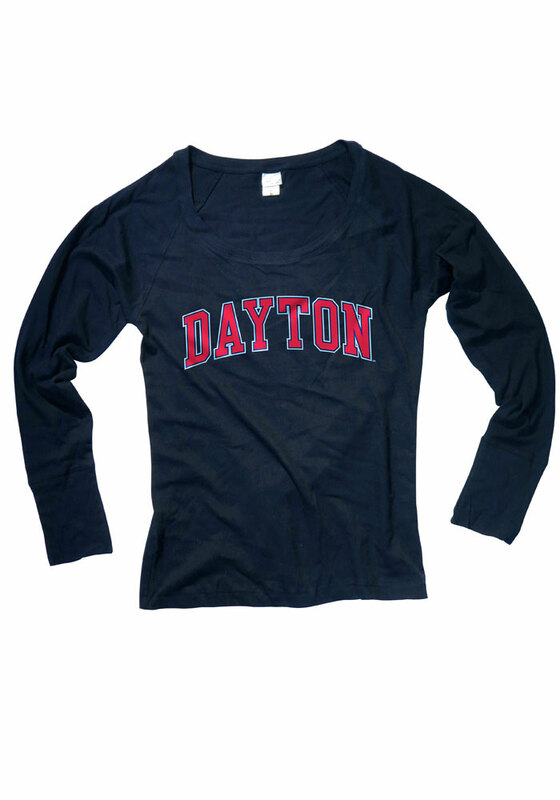 Display your Dayton Flyers spirit in this Dayton Navy Blue Tee! Featuring a flatlock stitching detail, arch team name with logo, and is preshrunk, this Dayton Flyers Long Sleeve Scoop Neck is a must-have for any fan. Go Flyers! !